MADISON, Wisc. — A prominent atheist activist group is demanding that Wisconsin Governor Scott Walker remove a Scripture from his Twitter and Facebook accounts, alleging that they imply the government promotion of religion. Walker’s Facebook status on Sunday. 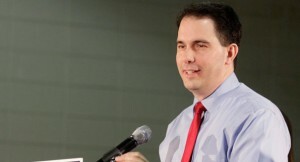 Walker has not responded to the letter, and it not known whether he plans on doing so. The Scripture remains posted on both his Facebook and Twitter accounts.